Alaska Snowboard Guides – features an expansive fleet of new Ski-Doo 850 summits. You can learn to ride, improve your skills and become a better snowmobiler or go for a snowmobile adventure in Alaska’s Chugach mountians with ASG’s snowmobile program. For experienced riders we offer our Advanced Techniques Clinics. We have a variety of packages including custom private single day and week long packages. Learn To Ride – This one and a half hour package features customized instruction on our Ski-Doo fleet for all levels of snowmobilers from first timers to experienced intermediate riders our guide are sure to teach you new tips and all the basics.. Throw in some great riding and amazing scenery and enjoy your down days almost as much as the bluebird ones. Advanced Technique Clinics – This one and a half hour package features customized instruction on Ski – Doo Summit 850’s. After evaluating your riding skills and discussing your goals our guides will work on your technique and help you progress to the next level of riding. Half Day Guided Adventure Ride – After you have done the learn to ride program you are welcome to sign up for this half day trip. Go and get out there in the range, explore places you never thought you would be on a Ski-Doo. 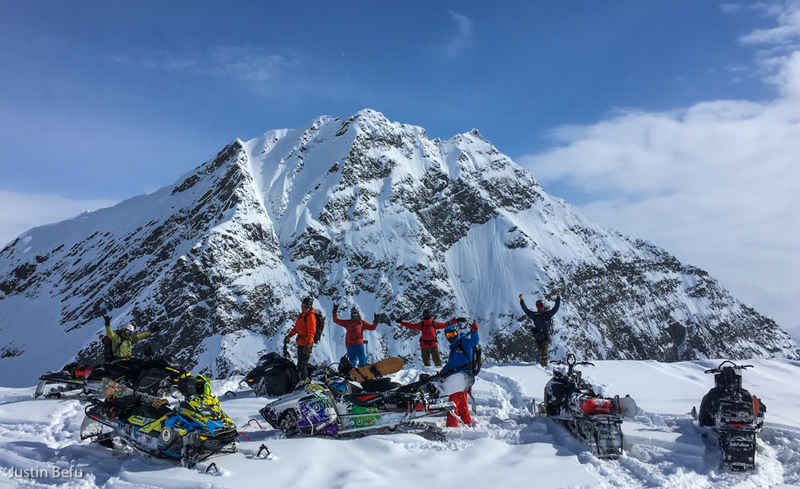 This is an experience you will never forget, traveling in the Chugach on Alaska Snowboard Guides fleet of Ski-Doo summit 850’S will create memories that last a lifetime. Read ALL plan your trip pages. All of the same information applies to your snowmobile trip including travel, gear to bring, and insurances.